Home » » Kano State Declares Tuesday Work-free Day in Honour of Maitama Sule. Kano State Declares Tuesday Work-free Day in Honour of Maitama Sule. In a statement Release by the state’s commissioner of information, Muhammad Garba, said a funeral prayer for the deceased would be conducted on Tuesday. “Governor Abdullahi Umar Ganduje has declared tomorrow Tuesday a work – free day in the state to mourn the death of the elder statesman,” the statement read. “Funeral prayer for the deceased will be conducted tomorrow Tuesday at the Emir’s Palace, Kofar Kudu, by 4pm. The family of the deceased had earlier said the aircraft conveying his remains would touch down at the Aminu Kano International Airport at 2pm on Tuesday. Sule is Survived by a wife and nine children. 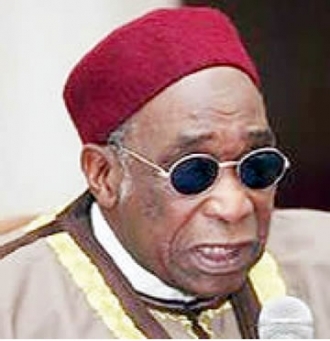 The deceased, who had the title, Danmasanin Kano, held many positions, among which are former permanent representative at United Nations, chairman of Northern elders forum. He was also an ex-minister.